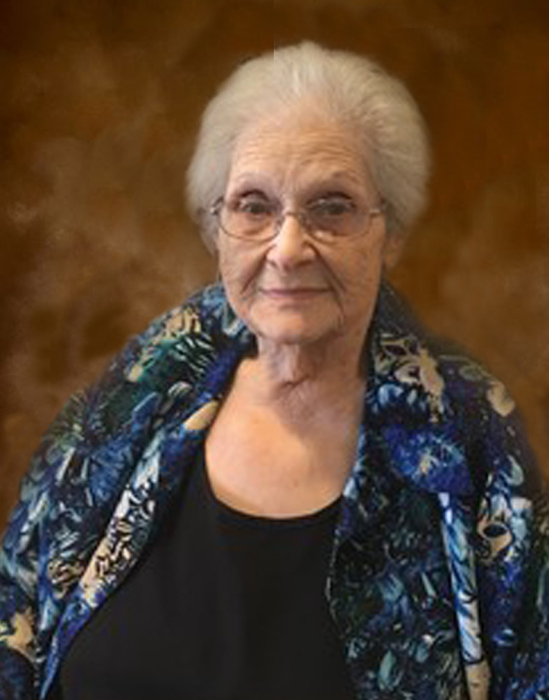 Mrs. Betty Eugenia Roland Calhoun Dancy, age 85 of Jefferson, died on Wednesday, April 3, 2019 at Ashe Memorial Hospital. Mrs. Dancy was born on October 2, 1933 in Nottingham, PA to Alvin H. and Eugenia Gore Roland. She was preceded in death by her parents, her husband Bill Dancy; first husband and father of her children, Arvil Calhoun; daughter, Cathy Calhoun Hardin, granddaughter, Kelly Hardin and great-grandson, Liam Wood. Mrs. Dancy retired from Thomasville Furniture after 50 years. She enjoyed spending time with her family. Mrs. Dancy is survived by: three daughters, Linda Coldiron, Debbie Coldiron, and Tammy Miller, all of Jefferson; three sons, Robert Calhoun, Johnny Calhoun, and Mike Calhoun, all of Jefferson; two stepsons, Gene Dancy and Randy Dancy, both of Warrensville; two brothers, John Roland of Chilhowie, VA and Charles Roland of Crumpler; two sisters, Carol Savage of Xenia, OH and Charolette Shaw of Lansing; also surviving are 13 grandchildren, 17, great-grandchildren, 3 great-great-grandchildren and several nieces and nephews. Funeral services will be held on Sunday, April 7, 2019 at 3:00 pm at Ashelawn Memorial Chapel by Rev. Daniel Greer, Pastor Tim Roten, and Rev. David Greer. Burial will follow in the Calhoun Cemetery. The family will receive friends from 2:00 pm to 3:00 pm on Sunday, April 7, 2019 at Ashelawn Memorial Chapel. Flowers will be appreciated or memorials may be made to Margate Activities Fund, 540 Waugh Street, Jefferson, NC 28640 or to a charity of the donor’s choice. The family will be meeting at the home of her daughter, Linda Coldiron, at 106 Faw Roland Street in Jefferson. Ashelawn Memorial Chapel & Gardens was entrusted with Mrs. Dancy's arrangements.